Does your carpet need professional cleaning in Grosse Pointe, MI to give it that fresh new look and scent it once had? 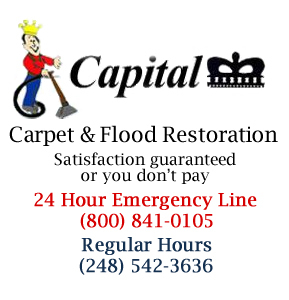 Capital Carpet provides professional, quick drying, steam carpet cleaning services for Grosse Pointe MI residents and businesses. Does your carpet, rug, or upholstered furniture have tough to remove stains? Regular cleaning helps maintain the overall look of your home, but a professional deep clean will brighten your residence or business. 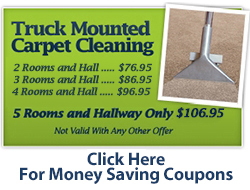 Call Capital Carpet at (800) 841-0105 today for carpet cleaning in Grosse Pointe MI. Our professional, efficient and courteous staff is ready to lend their expertise to our full line of residential and commercial carpet cleaning services. This includes: truck mounted steam cleaning equipment, water damage repair, persian and oriental area rug cleaning, hardwood and laminate floor cleaning and buffing, commercial carpet cleaning, residential carpet cleaning, wood furniture and upholstery cleaning, commercial carpet and rug cleaning, carpet spot and stain removal, color damage repair, and fresh scent with any carpet cleaning or dyeing. We will clean your carpet with proper technique and we have decades of carpet cleaning experience for your home or business. We will move most of your furniture and will never charge hidden fees. Our knowledgeable employees that have been with us for 10 years on average can handle many of the hard to remove stains that other carpet cleaners can't. 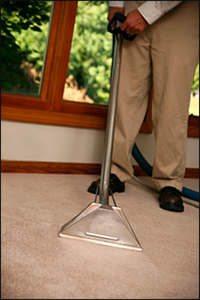 Our equipment is used properly and efficiently to insure an excellent quality carpet cleaning service. In most situations, carpet drying time is complete in just a couple of hours. We use only the most advanced equipment and the safest products available. Technique and chemical developments have made it possible to provide superior carpet cleaning results in your home or business. If you need residential or commercial carpet cleaning services call Capital Carpet today for carpet cleaning in Grosse Pointe MI with expert removal of carpet stains and quick drying times. We guarantee satisfaction or else you don’t pay. It's time to contact Capital Carpet, where we have over thirty years of experience saving customers' carpets, rugs, and furniture from calamities of all sorts. Please give us a call, describe your situation, and we will be happy to give you a free estimate for starters. Testimonial: "Thank you for the excellent work"
Testimonial: "Matthew did an excellent job and he was very pleasant"